“Women’s lib is a total assault on the role of the American woman as wife and mother, and on the family as the basic unit of society,” Mrs. Schlafly wrote in 1972. 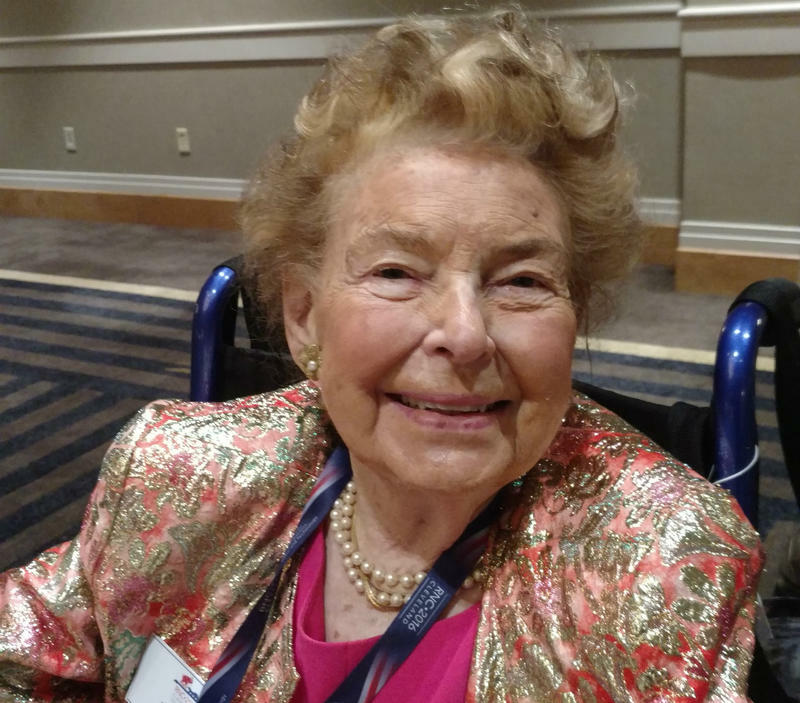 Political reporter Jo Mannies reflects on Mrs. Schlafly's career. Her detractors, such as feminist Betty Friedan, found the paradox exasperating. Friedan once said she’d like to see Mrs. Schlafly burned at the stake. In a 2006 interview with the New York Times, Mrs. Schlafly offered a nonchalant response. "In the scale of liberal sins, hypocrisy is the greatest, and they have always considered me a hypocrite," she said. Mrs. Schlafly had been politically active right up to, and including, July's Republican Convention. See Jo Mannies' report: "Phyllis Schlafly praises Trump as the Change GOP needs." Her death touched off praise from a number of major Republicans. The proposed Equal Rights Amendment to guarantee equality of rights for women was just 24 words long and in 1972, it appeared poised to sail to ratification. It took only a year to be ratified by the House of Representatives, the Senate and 30 state legislatures. But 10 years later, the amendment basically died three states short of the 38 needed for adoption. Many gave Mrs. Schlafly full credit for the amendment’s demise. It was first introduced to Congress in 1923, and was once part of the Republican Party platform. It finally picked up steam in 1970, when NOW, the National Organization for Women, demanded a Senate hearing. A year later, Mrs. Schlafly was asked to speak at a book club about the proposed amendment. She said she’d never heard of it. Mrs. Schlafly did her research and soon became the voice of opposition to the ERA, one of the most hotly contested issues of its time. She established the STOP (Stop Taking our Privileges) ERA campaign and went to war with the feminist movement. She characterized the amendment as an assault on homemakers that would take away the “special protection” and “Christian tradition of chivalry” that women enjoyed. Some of Mrs. Schlafly’s most potent weapons against the ERA were the specter of gay marriage, financial ruin for women, women in combat and dissolution of families. When the ratification deadline expired on June 30, 1982, Mrs. Schlafly hosted a burial party at the Shoreham Hotel in Washington, D.C.
"I simply didn't believe we needed a constitutional amendment to protect women's rights," Mrs. Schlafly told the New York Times in 2006. STOP soon became the Eagle Forum, an organization of thousands of volunteers throughout the nation working to influence conservative policymaking. At its peak, the organization boasted more than 80,000 members. In recent months, legal battles have developed concerning control of Eagle Forum. Schlafly had sided with Ed Martin, who she had championed to become the new forum president about 18 months ago. Cori, forum vice-chairman, is among the majority of the board leaders who had sought to fire Martin. On Monday, the same day of Schlafly's death, Martin filed paperwork with the Federal Election Commission registering a new political action committee called "Phyllis Schlafly Eagle PAC." Martin is listed as treasurer. Cori said she was outraged by Martin's action, notably the timing, and was seeking more information. Mrs. Schlafly’s activism began early and she soon became immersed in politics. In 1946, at age 22, she managed the successful congressional campaign of St. Louis lawyer Claude I. Bakewell in his first run for national office. In 1952, at age 28, she made her own congressional run from Illinois’ 24th district. The long-shot bid proved unsuccessful, but the campaign heralded her arrival in the nascent conservative movement. She made another unsuccessful congressional run in 1970. She soon achieved much greater success influencing party politics from the outside. She got a “pro-life” plank into every Republican Party platform adopted at every Republican National Convention beginning in 1976. She served three terms as president of the Illinois Federation of Republican Women. During a term in 1964, she wrote and self-published A Choice Not an Echo, her best-selling epistle that cast a jaundiced eye on the ‘establishment’ wing of presidential elections. It propelled her to a leadership role in the conservative movement. That same year, in addition to going to the Republican Convention, she wrote a second book, The Gravediggers, and gave speeches for Barry Goldwater. In November, she had a baby. It was a watershed year that laid the groundwork for the eventually powerful Eagle Forum. It was founded, she said, “as an alternative to women’s lib.” It became a reliable opposition to all things deemed liberal. 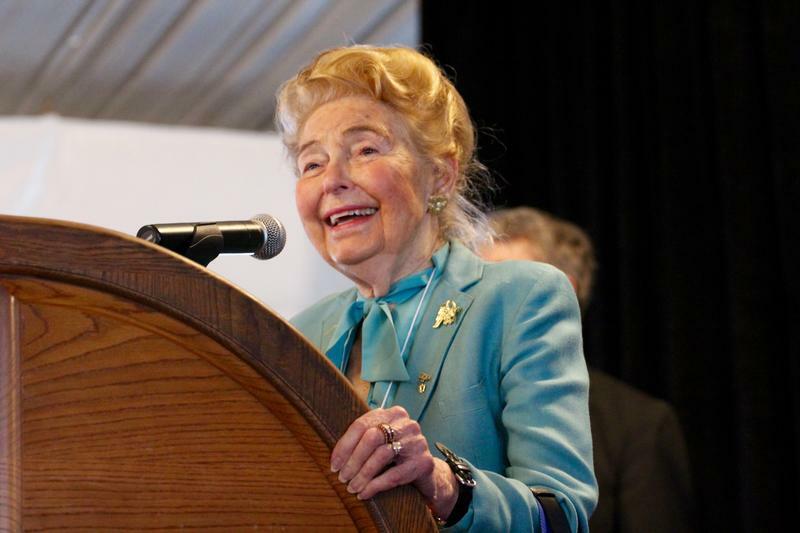 Through speeches, books, radio and television programs, campaigns and political organizations, Mrs. Schlafly firmly helped establish a hard-right movement that influenced social and political policies at the highest levels for more than 50 years. She accused feminists of believing that jobs outside the home were more important than “tending babies and preparing dinner for a hard-working husband.” After earning a master’s degree and working professionally, Mrs. Schlafly immediately quit her job for marriage to her late husband, Fred, a lawyer, and had six children. The family had a housekeeper, but no nanny. Mrs. Schlafly breast-fed each child and taught them to read before they began school. Until age 7, they were home-schooled. In 1992, she was named Illinois Mother of the Year. Three of her children became lawyers, one an orthopedic surgeon, one a Ph.D. mathematician and one a businesswoman. 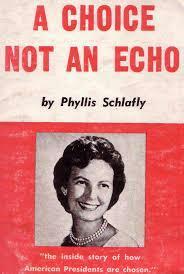 Mrs. Schlafly’s early years did not portend a life as the leader of an antifeminist movement. Her mother was a college-educated working woman who became the breadwinner when her husband lost his job as a Westinghouse sales engineer during the Great Depression. Both parents encouraged their daughters to attend college. Not only did Mrs. Schlafly attend college, she earned three degrees. She graduated first in her high school class from the Academy of Sacred Heart in St. Louis (known at City House) and received a four-year scholarship to Maryville College. After a year, she relinquished her scholarship to transfer to Washington University. To pay for school, she worked full time testing ammunition at the St. Louis Ordnance Plant. She worked the night shift and attended morning classes. She graduated in two years, Phi Beta Kappa. She earned her master’s degree in one year at Radcliffe College, then got a job in Washington, D.C., with what is now the American Enterprise Institute, an influential conservative think tank. A year later, in 1949, she returned to St. Louis and found a job managing Bakewell’s congressional campaign. Following the election, she became a researcher and librarian at the partner banking entities, First National Bank in St. Louis and St. Louis Union Trust. John Fred Schlafly stopped by the trust company one day and her financial career quickly came to an end. They were married in October 1949. He bought her a car, a Ford, as a wedding present. He became a prominent lawyer in Alton. As a newlywed comfortably ensconced in Alton, Mrs. Schlafly quickly became involved in the traditional pursuits of a well-to-do homemaker, but there was very little about her that was traditional. She eagerly enlisted in the “culture wars” and was rarely out of the public eye since 1964. She did battle on the social and political fronts with sculptured tresses, in a style that changed little over the years, and a face arrayed in a perpetual smile. A focused, overachiever who vociferously espoused domesticity as a woman’s highest calling, Mrs. Schlafly worked tirelessly her entire life on the causes and issues in which she believed. She played a major role in building the anti-communist movement, starting 5,000 study groups on communism in the ’50s and ’60s, and helped found the Cardinal Mindszenty Foundation, a Catholic anti-communist organization. She never wavered in her belief that communism was a clear and present danger, even to the point of a permanent defense of Joseph McCarthy. In his 2005 biography, Phyllis Schlafly and Grassroots Conservatism: A Woman's Crusade, Donald T. Critchlow said that Mrs. Schlafly saved special venom for the "anti-family, anti-children, and pro-abortion" feminist movement. She was a prolific writer, authoring 20 books, published a monthly newsletter for more than 40 years, and wrote a monthly article for DAR (Daughters of the American Revolution) Magazine for nearly two decades. She also denied having any part in racism. “(The) liberals are just obsessed that everything has to be seen in terms of racism, and in the world that I lived in, it was not an issue,” she said in 2011. Phyllis McAlpin Stewart Schlafly was born in St. Louis on Aug. 15, 1924, the elder of John Bruce Stewart and Odile Dodge Stewart’s two daughters. She earned a bachelor's degree in political science from Washington University in 1944, and a master’s in government from Radcliffe (now part of Harvard) in 1945. She earned her law degree from the Washington University School of Law in 1978. After receiving her law degree, she was called to testify before more than 50 congressional and state legislative committees on constitutional and family issues, foreign policy and national defense. She was appointed by Ronald Reagan to serve on the Commission on the Bicentennial of the U.S. Constitution in 1985. In 2008, Washington University awarded Mrs. Schlafly an honorary doctorate. Many graduates, along with family members and even professors on the stage, stood and turned their back as her citation was read. Mrs. Schlafly was preceded in death by her parents, her sister, Odile Stewart Mecker, and her husband, Fred. After his death, she moved to Ladue in 1993 and set up an Eagle Forum education center in downtown Clayton. Political reporter Jo Mannies contributed information for this article.